The Ginger Lily is known by many different names across the world. Torch Lily and Philippine Torch Flower are among the most common. The name comes from its similarities to some of the lily species. These blooms are large, with some flower over palm size to adults. Many of the species produce rich shades of deep pink for blossoms. This creates a unique and memorable blossom for any home or bouquet. This perennial plant is native to warm and humid tropical areas. It may often be found growing wild in some areas where it is native. Inflorescent blooms are common on all the species and hybrid types. White blooms are an emerging variety that is popular in warm areas. Pale pink and white combinations are also emerging in some species. Thai Queen and Yamamoto are two of these elegant new bloom species. Showy pink flowers are common to the species, often appearing waxy. Some species may produce red flowers that have many thick petals. Bicolor pink and red variations are also possible through cultivation. This tropical plant prefers warm to hot weather and some humidity. Full sun all day is often ideal for growing tropical varieties. A warm to hot climate all year is optimal as these do poorly in cold. Well drained soil is necessary, which must also stay moist easily. The soil should never be allowed to stay soaked or dry out fully. Fertilizers should be added regularly during growth cycles for blooms. Indoor growing is possible as the climate can be easier to control. A grow light can be used to provide ample warmth and light for plants. They may also be grown in greenhouses to get optimal flower growth. For more traditional gingers, special care is needed for best growth. Partial sun, or mostly shade is often ideal for the best growth. Shelter can also protect against heavy winds, which damage foliage. Ginger is best known for its uses in the kitchen rather than gardens. The more traditional species is harvested for its useful roots. Many think of this species rather than the more showy, flowering ones. The root is often ground or powdered to use in cooking and medicine. It is known to calm upset stomachs and can aid in better digestion. It is also used as a food preservative and added to teas and food. The oil from roots can be added to drinks or as a flavoring for food. The softened and sugared root is often used to create sweet candy. Only some species of the plant are used for their roots, however. The blooms are highly fragrant, making them popular for their oils. The essential oils are popular choices for perfumes and lotions. The spicy and sweet fragrance is popular for many types of products. Ginger can be grown and produced in places such as Billings, MT, Jackson, MN, Oakland, CA, Corona, CA, and New Orleans, LA. In general, the flowers often represent strength when given to others. There are many ways to express strength by sending plants to others. It can mean strength of love, or strength of prosperity to some. Red blooms represent fiery passion, often between lovers or couples. The lush tropical nature of the flower makes them ideal for summer. Winter is another good time to use red flowers to send a message. White blooms often demonstrate pureness of heart and strong love. It may also represent affairs of the heart, such as a crush or love. 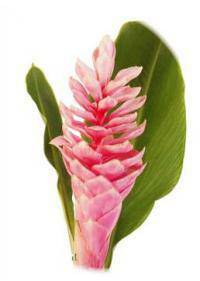 This makes the ginger a good flower to use for a romantic bouquet.